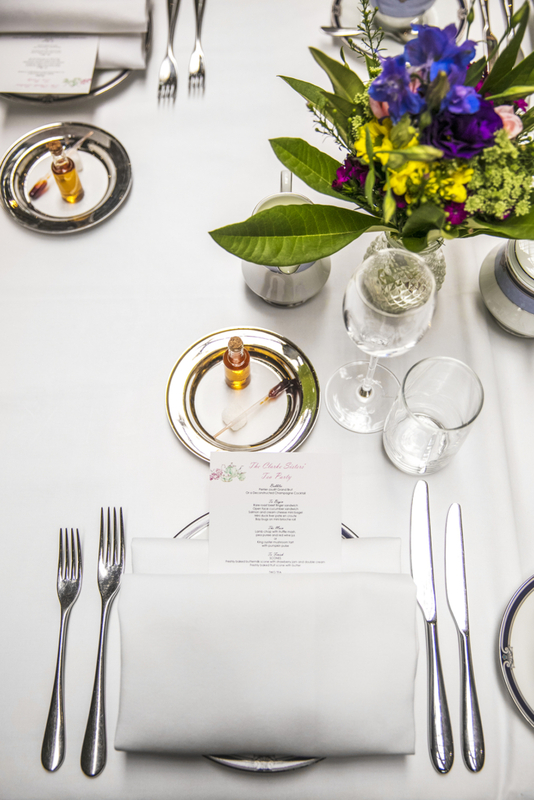 There’s always something special about high tea. It’s that special feeling where you get dressed up with your girlfriends and eat a feast of sumptuous desserts and pastries, while sipping tea from bone china. So I am always on the look out for new places to go and check out in Melbourne. 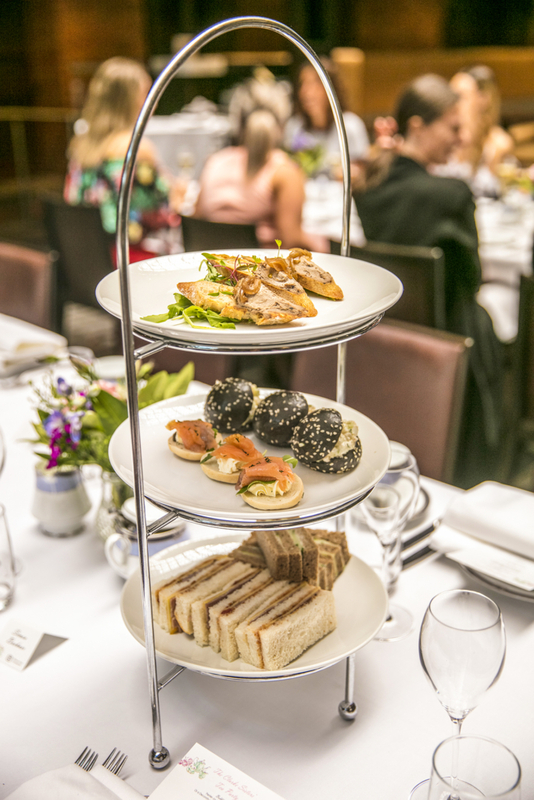 The Clarke’s Sisters High Tea at the Intercontinental Melbourne isn’t your average high tea however; it’s more of a four course feast of sweet and savoury treats. The dining room is beautifully set and atmospheric with perfectly ironed white tablecloths flanking the dining tables which shimmer under the sky light of the sky high ceilings of the hotel . On arrival we are treated to our choice of a glass of French champagne or a deconstructed champagne cocktail. The service is charming and wonderfully accommodating. Once seated, our enthusiastic waiter tells us the story behind the Clarke sisters and how the Clarke Sisters High Tea came to life. The Clarke sisters would once be found spending lavish afternoons swapping stories over fine china teacups in Collins Street. One of the sisters, Miss Emma Clarke, married Patrick McCaughnan, who commissioned the orignal Rialto building in the 1800s. After Emma passed away, the undeterred Patrick went on to marry her sister, Miss Margaret Clarke. 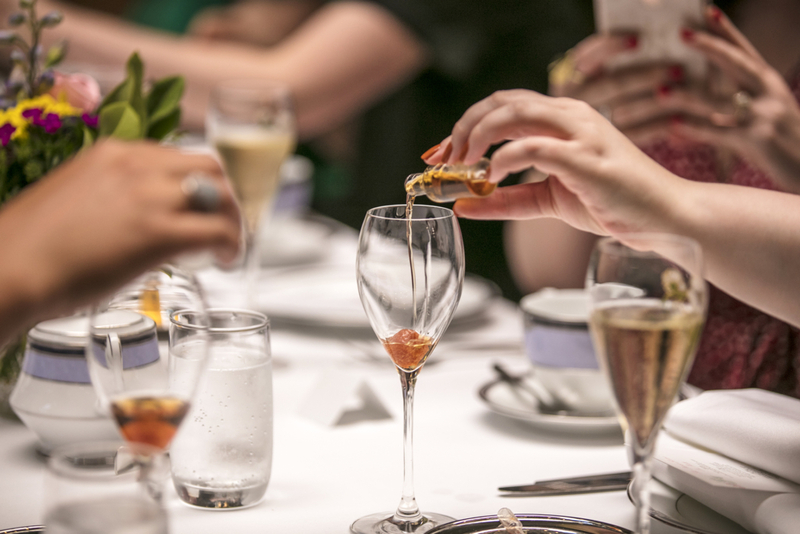 To begin, we feasted on a delectable range of savoury treats served elegantly on a three-tiered stand. The rare roast beef finger sandwich is a standout, beautifully cooked. There were also open faced cucumber sandwiches, salmon and cream cheese mini bagels, mini duck liver pate en croutes and baby bugs on a black mini brioche roll. Moving on to the main event, we enjoyed a lamb cutlet with truffle mash, pea puree finished with a delicate red wine jus. Just delicious! But let’s be honest, we really came here for the sweets and which afternoon tea isn’t complete without scones? The buttermilk scones were light and fluffy, served warm with strawberry jam and double cream. But the real treat was left to last (if only we saved more room!). The dessert trolley was epic filled with sweet treats from Melbourne’s best pastry chefs and bakers including a Lemon and Pear Tart from Pierrick Boyer’s Le Petit Gateau, a White Chocolate Cheesecake and Flourless Chocolate Cake from Merchant Osteria Veice and last, but not least, a Lamington from Vue De Monde consisting of a fluffy sponge cake dipped in chocolate infused with jam and rolled in coconut. What a way to end a perfect afternoon!